Conway Bowman is a regular Thomas Jefferson of the aquatic life. 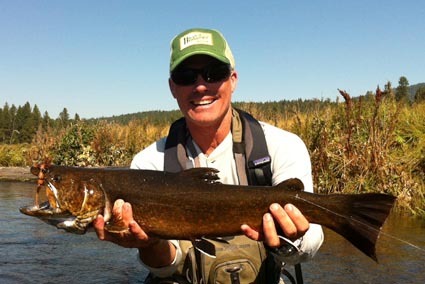 He’s a fly fishing guide, surfer, television host, author, father, brand rep and conservationist. Conway makes his home in San Diego and runs Bowman Bluewater, a charter fishing service specializing in targeting Mako sharks with fly rods. Conway Bowman began fly fishing in Idaho at age eight. Since then, he's mastered the river, lake and sea. 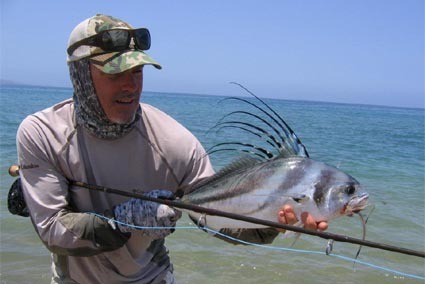 His extensive saltwater experience includes inshore and bluewater up and down the west coast, including Baja California. He co-hosted ESPN's "In Search of Flywater" show and is the current host of "Fly Fishing the World" on the Sportsman Channel. Conway’s exploits have also been chronicled in various books, Tidelines and Fly Fishing for Sharks: An American Journey and magazines including, Flyfish Journal, Fly Fisherman, The Drake, Fly Fishing Saltwater’s, Field & Stream, Men’s Journal, and SaltWater Sportsman. He is a noted pioneer and advocate of catch and release fishing. Conway is an avid advocate for shark conservation and aids researchers, raising funds for research tagging Shortfin Mako sharks off the Southern California coast through his annual Flying Mako Charity Tournament. BASIC SCHEDULE – MORE TO COME!